In the Powers Lab we pursue questions relating to animal energetics and water regulation. For more than 30 years the primary focus of Dr. Powers’ research has been hummingbird energetics with specific emphases on thermoregulation, total daily energy expenditure, competition, torpor, dietary requirement, and flight. 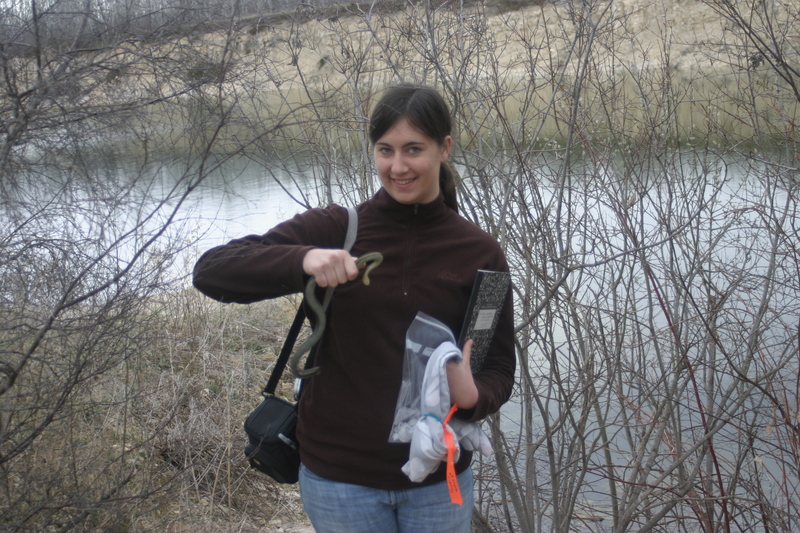 The lab has also worked on reproductive energetics of red-sided garter snakes (Thamnophis sirtalis parietals) in collaboration with Dr. Robert Mason at Oregon State University and Dr. Chris Friesen at the University of Sydney. For the past six years we have been funded by NASA to study how hummingbirds might respond physiologically to climate change. This work has been done in collaboration with Dr. Catherine Graham (formerly Stony Brook University, NY and currently at Eidg. Forschungsanstalt WSL, Switzerland) and Dr. Susan Wethington of the Hummingbird Monitoring Network. Since George Fox University has no graduate program in biology undergraduate students play a key role in lab productivity. 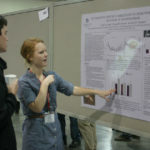 Peer-reviewed publications resulting from work done by research teams in the lab often include undergraduate coauthors who make important contributions to both data collection and analysis. My mission in involving undergraduates in my research program is to provide a quality experience that prepares them to be competitive for and successful in top-level graduate programs once they finish their degree. Students who take positions in my lab must take ownership for entire projects rather than specific experiments assuring that they will gain valuable experience in all facets of basic research. This includes presentation of their work at the Society for Integrative and Comparative Biology (SICB) national meeting each January. This Science Shot featured our first work on heat dissipation during flight by hummingbirds! A clip from featuring Don from the BBCs "Super Cute Animals" from a few years ago on hummingbird torpor. Short piece on hummingbird torpor on the BBCs “Super Cute Animals” featuring Don Powers. Testimonials from Former Research Students! 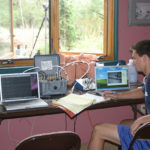 research under Don for two years, including a summer field season. 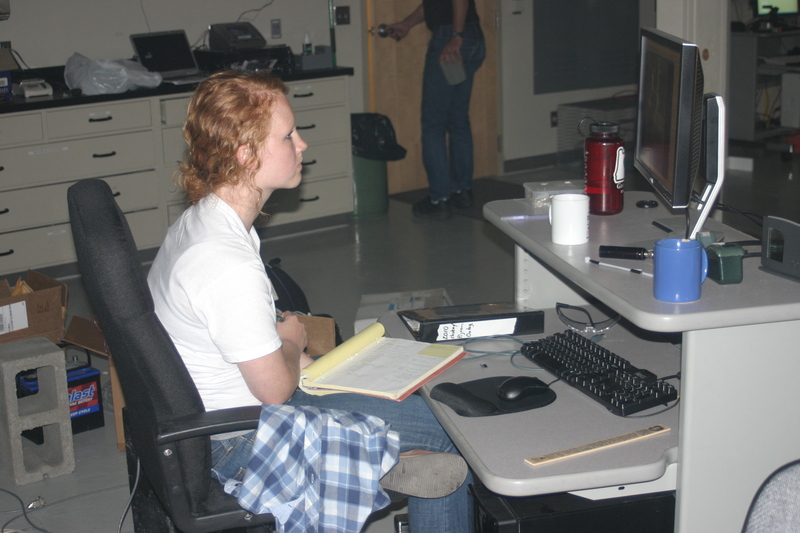 The experience I gained in the Powers Lab was absolutely invaluable in preparing me for graduate school. Don was incredibly generous in allowing me to make my projects my own, and allowed me the freedom to learn through my own experimentation. That being said, I found him to be readily available to answer questions and guide me in the right direction whenever I had a question. The caliber of research that Don and his students produce is impressive, particularly considering the fact that the projects are carried out by undergraduate students. I believe this is a testament to Don’s strong teaching skills, as well as his commitment to excellence and high yet realistic expectations for his students. The volume of knowledge I gained while conducting my projects was surprising, yet quite manageable with Don’s support, and gave me a thorough introduction to the rigors of graduate school. I not only obtained a strong understanding of the research process, but came away with two completed projects, a much stronger CV, and presentations at local and national conferences. Upon entering my graduate program, I felt exceptionally well prepared and mainly attribute that to my experience in the Powers Lab. 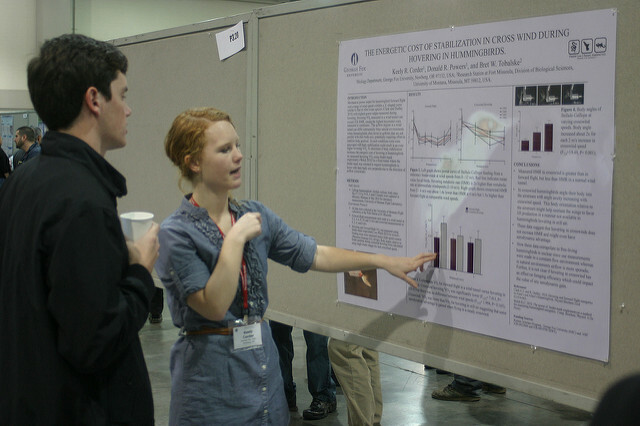 Keely presenting her research at the 2011 SICB meeting. When I first joined the Powers lab as a Junior, I was looking for research experience that would help determine if this was the kind of career I wanted to pursue. Four years later, I am certain my time in the lab has been one of the most formative experiences of my career as a scientist. Dr. Power’s approach to his undergraduate research students is truly one-of-a-kind. I know of no other undergraduate researchers that have the independence, guidance, and hands-on experience that is typical in the Powers lab. I can say first hand that those qualities were hugely influential to my getting into graduate school and to my success as a graduate student. As I continue my education in Biology, Dr. Powers continues to be an incredibly valuable mentor and friend! 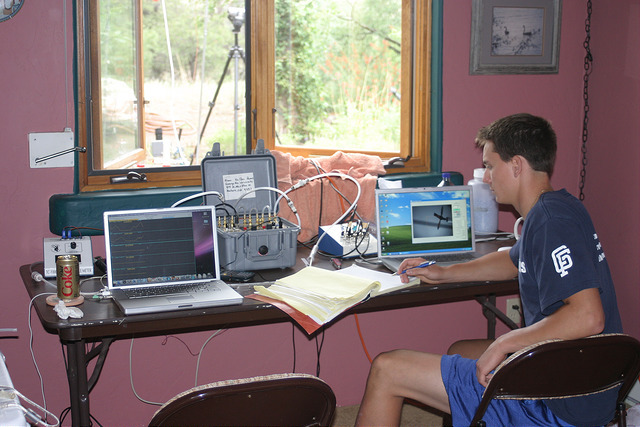 Travis collecting hovering metabolic rate data in Arizona. prepared me better for medical school and a career as a physician than the education I received at George Fox. 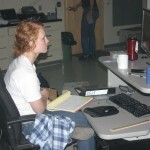 Central to my education was the time I spent in the Powers Lab. Dr. Powers gave me the freedom and responsibility to design and carry out my own project and helped me hone my presentation skills at numerous events and conferences. Many of my current colleagues hold graduate degrees from various prestigious schools. 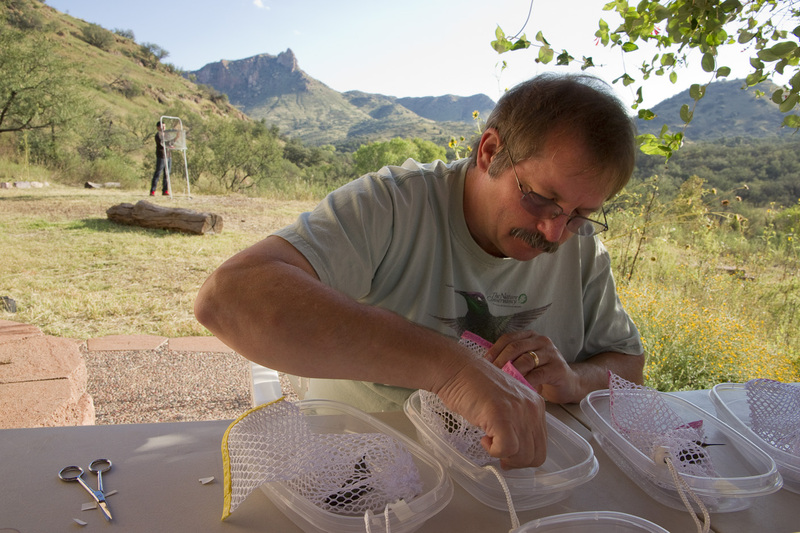 They are frustrated when they find out that I’ve had at least as much experience designing experiments and collecting, analyzing and presenting data as they have … but I got to do it while playing with hummingbirds! 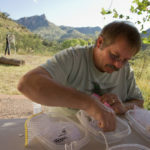 Phil collecting data on hummingbirds in Arizona. during my time at George Fox. 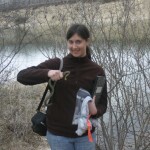 Moving beyond the classroom and experiencing new scientific discovery enriched and enhanced my whole academic career. I went on to graduate school in the healthcare field, and the skills which I honed in my time working with Dr. Powers including how to really dig into the scientific literature, ask good questions, have original thoughts, and get up in front of a group and convey information have all helped me immeasurably throughout my training and in my career. In addition, I was able to accomplish one of my life goals by coauthoring a publication with Dr. Powers in Comparative Biochemistry and Physiology.